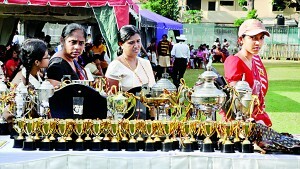 The athletes of Maya House were at their supreme best as they emerged triumphant at the annual Inter-House Sports Meet of Buddhist Ladies College, which was held at the NCC grounds in Colombo recently. 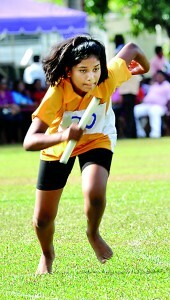 The victorious Maya House outdid the rest as Yasodara, Gothami and Sirimavo finished after one another at second, third and fourth places respectively. Almost every student of Buddhist Ladies College was present for the occasion, with many of them showing a keen interest in proceedings as well as competing in a number of different events. In addition to the sports events, the day was filled with several fun and interactive activities for parents and students. The chief guest for the day was Sumith Edirisinghe, the Deputy Inspector General of the Western Province, while Victoria Lakshmi, the President of the Sri Lanka Netball Federation graced the occasion as the guest of honour. The head of the JMC Business Management Institution, J.M.U.B. Jayasekara also attended the event.